India’s airports went on alert and the government opened an emergency helpline on Saturday as part of measures to tackle any outbreak of the deadly Ebola epidemic in the country of 1.25 billion people.India has nearly 45,000 nationals living in the four Ebola-affected West African nations and health officials said there was a possibility of some of them returning to their home country if the outbreak worsens. The illness was declared an international health emergency by the World Health Organization on Friday and authorities voiced fears the virus could spread worldwide.The country has “put in operation the most advanced surveillance and tracking systems” for the hemorrhagic virus” said India’s Health Minister Harsh Vardhan said in a statement.”There is no need to panic,” he said, calling risk of Ebola cases in India “low”. The World Health Organization (WHO) on Friday declared the killer Ebola epidemic ravaging parts of west Africa an international health emergency and appealed for global aid to help afflicted countries.The WHO move comes as US health authorities yesterday admitted that Ebola’s spread beyond west Africa was “inevitable”, and after medical charity Doctors Without Borders (MSF) warned that the deadly virus was now “out of control” with more than 60 outbreak hotspots. 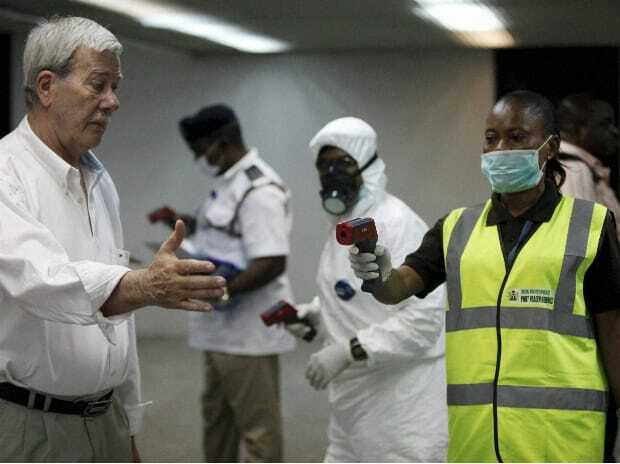 There are some 4,700 Indians in Guinea, Liberia and Sierra Leone, the three countries worst hit by the disease, while another 40,000 live in Nigeria, which has also declared a state of emergency because of Ebola.The government is setting up centres at airports and ports to deal with travellers showing any potential symptoms of Ebola, spread through close contact with bodily fluids of people who who are sick. All air passengers arriving in India from Ebola-affected countries must now fill in a symptom-checklist form and provide addresses as the government builds a database to track people who might develop symptoms. Researchers working on tracing the Ebola virus back to patient zero in the current outbreak think that they have identified him, a two-year-old boy who died on December 6, 2013. The toddler fell ill while in a village in southeastern Guinea called Guéckédou. This small village is like a three nation intersection, as it sits on the border of Guinea, Sierra Leone and Liberia. All three of these places have been heavily affected by the Ebola virus outbreak. Scientists think that because the disease started in Guéckédou, it had an easy entry path into the three nations in West Africa that have suffered so many deaths between them. There have now been 1,779 cases of Ebola reported and 961 people have died from the deadly disease. The week following the death of the two-year-old, the boy’s mother died, and shortly afterwards so did his grandmother. It was not recognized as Ebola virus at the time, but because the boy and the other members of his family had vomiting, diarrhea and fever, scientists believe the deadly virus started here, and that the toddler was patient zero. It is currently unknown how he might have contracted the disease. According to the Guardian, the outbreak is currently considered to be out of control and getting worse. Health officials believe that the death toll will be higher than that of all other previous Ebola outbreaks combined. 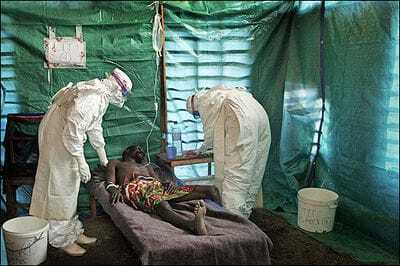 The World Health Organization has said that they need thousands more health workers in order to effectively fight the disease and stop it spreading further.80 health workers have already died from the Ebola virus as they have attempted to help others, 145 have been infected. Most consider that the situation will take months to be brought under control. Health officials are also concerned that due to the amount of resources that will be focused on fighting Ebola, deaths from other diseases such as malaria will rise.